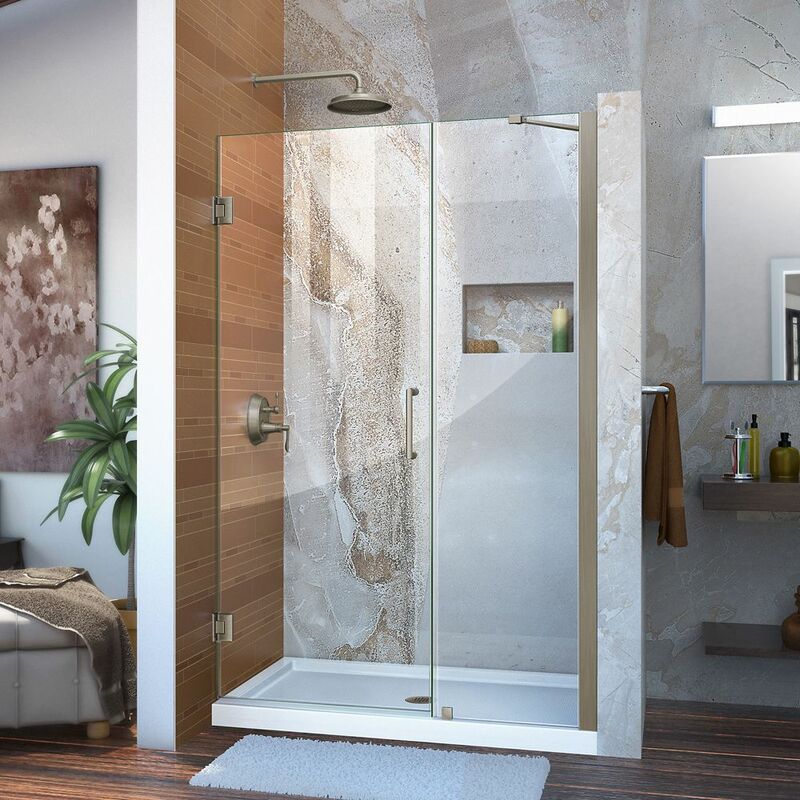 Unidoor 45 to 46-inch x 72-inch Frameless Hinged Pivot Shower Door in Brushed Nickel with Handle is rated 4.4 out of 5 by 11. Rated 4 out of 5 by HomeDepotCustomer from Nice product. It had its first use last night and... Nice product. It had its first use last night and things went well. We'll see how it holds up in the coming years. As with other reviewers, we found the installation a serious challenge. Rated 5 out of 5 by HomeDepotCustomer from Beautiful door. Installation requires really reading the instructions well, pictures... Beautiful door. Installation requires really reading the instructions well, pictures not always helpful. Overall I would definitely buy this door again. Rated 5 out of 5 by TomN from Great Fit and Finish, Excellent Value. ... Great Fit and Finish, Excellent Value. Rated 5 out of 5 by jazzielee2 from Unidoor purchased our door in January and so far we a very pleased. Rated 4 out of 5 by Sally from Looks perfect I like the look of the door. It makes the bathroom special.